William and the Books | Flickr - Photo Sharing! ranzino, Coal and Ice, bluemarla, and 66 other people added this photo to their favorites. Wow great portrait, interesting colors and great contrast. This is amazing! 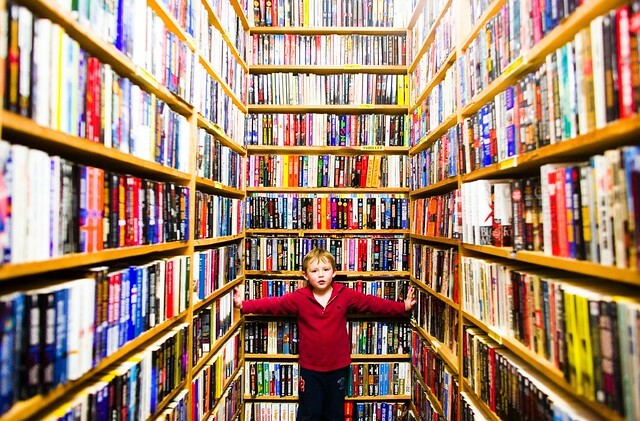 The look on William's face says more than all of those books could ever say. Super cool. Love the larger view. Marvelous shot! Cute kid, great DoF and colors. I just love your photos!! It's... wow! Very nice. If I were him, I'd be looking to see what the book titles were. Hi! I am admin of a group called Books / libros / livros and we'd love to have this added to the group! Hi, I'm an admin for a group called Book Buyers, and we'd love to have this added to the group! I recognize the thriller section of Bookbuyers! !